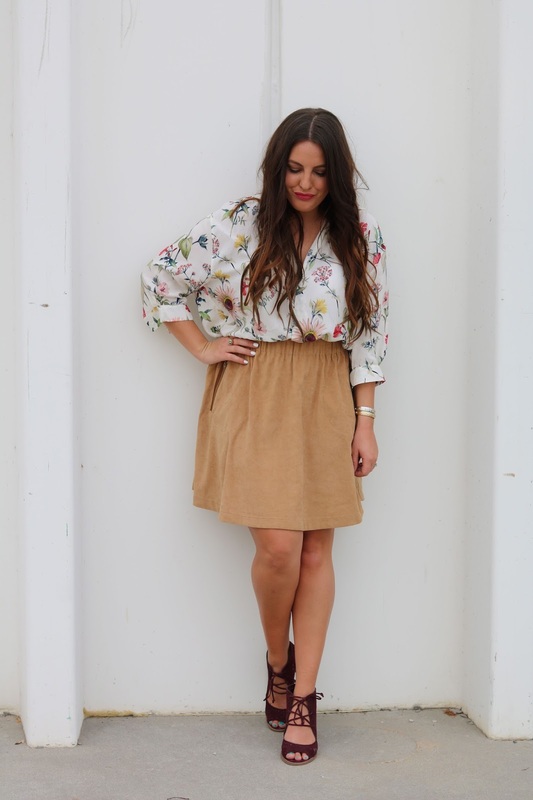 So I can't stop wearing floral prints. 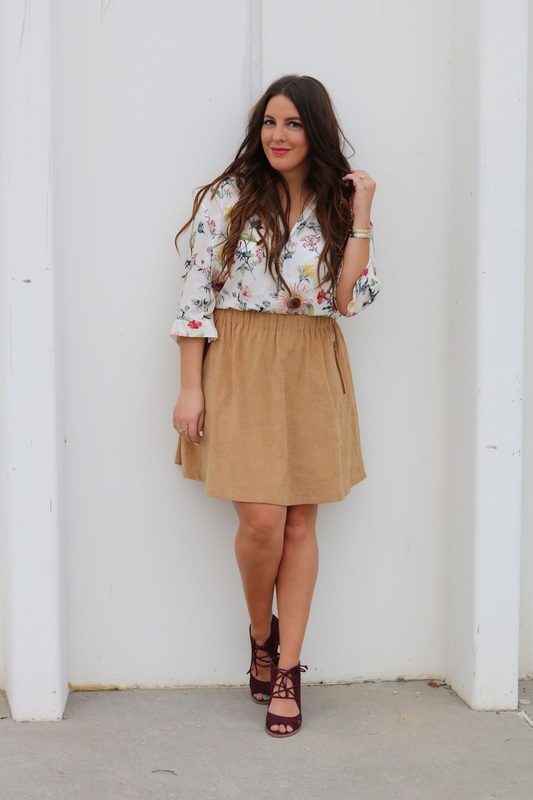 When I was in Spain I shopped a couple times too many at Zara and they had so many pieces with floral prints, and I guess I just bought them all ;) I think they are perfect for summer and you can even make them work in the fall. 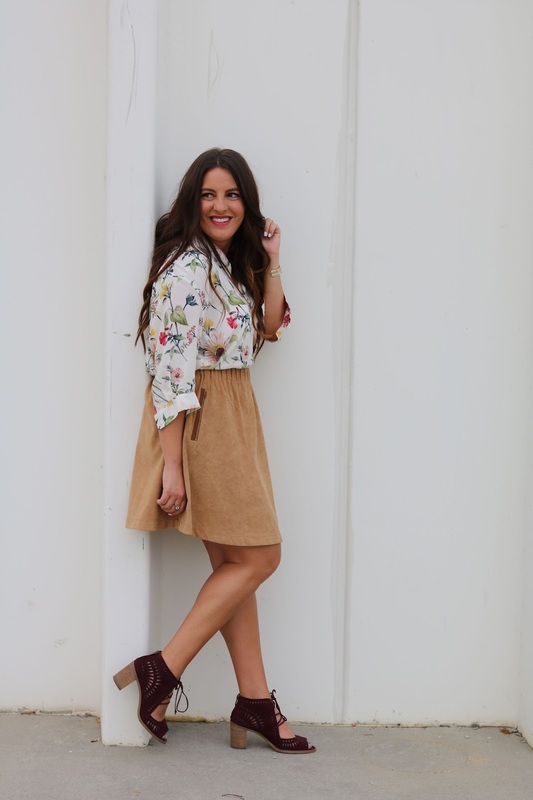 Let's talk about this suede skirt, it's probably my most favorite skirt because it goes with literally everything, and I got it for an amazing price at Nordstrom Rack, double win. 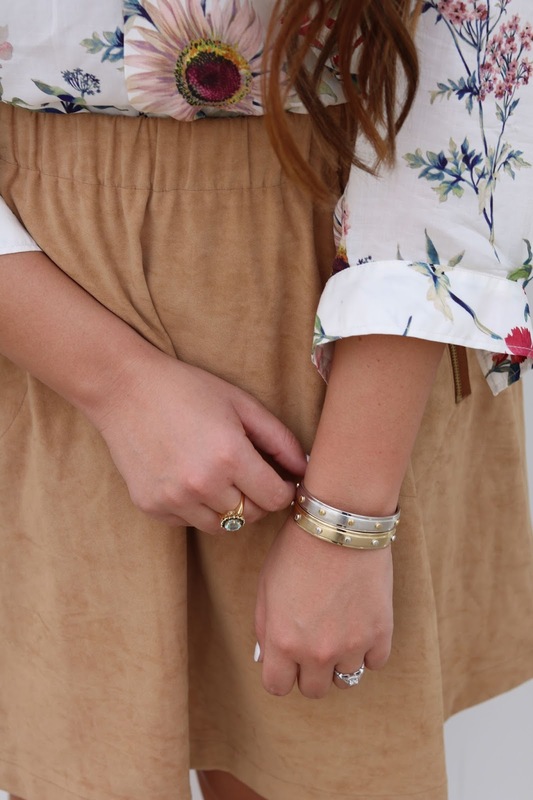 I got these bracelets at the original Henri Bendel store in NYC, and I cannot stop wearing them. I love the mixing of the metals! I'm pretty obsessed with this ring, it was my grandmother's so it has a lot of sentimental value. Those are the best pieces of jewelry you could ever own! And now onto these Vince Camuto wedges, I love them so much and if you want shoes that will give you compliments then get yourself these. I no joke get compliments on these everywhere I go! Beautiful outfit, especially the shoes.